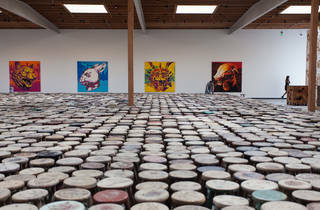 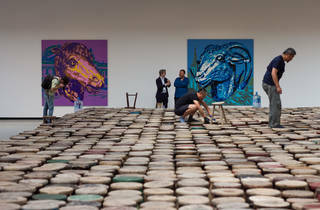 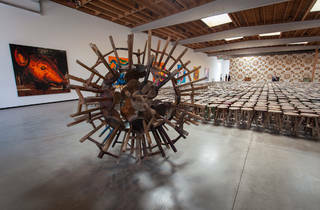 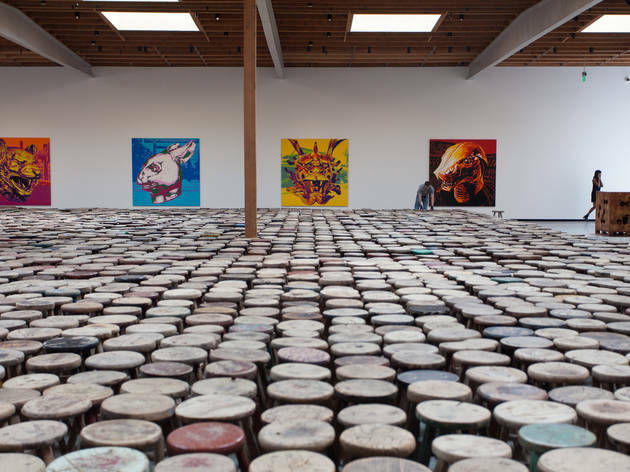 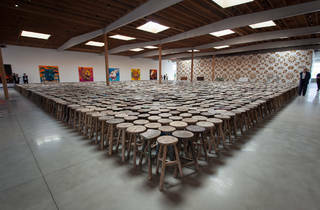 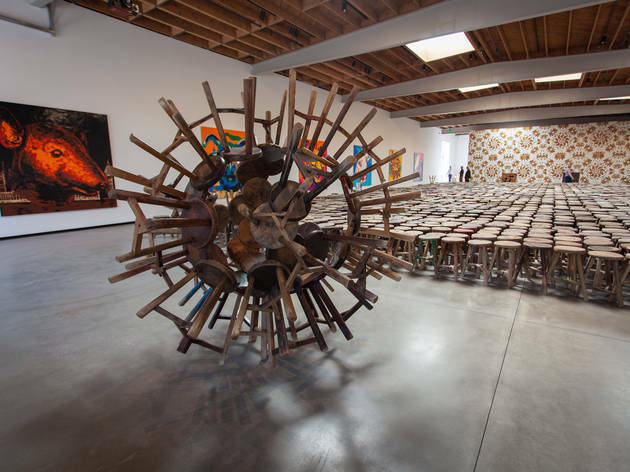 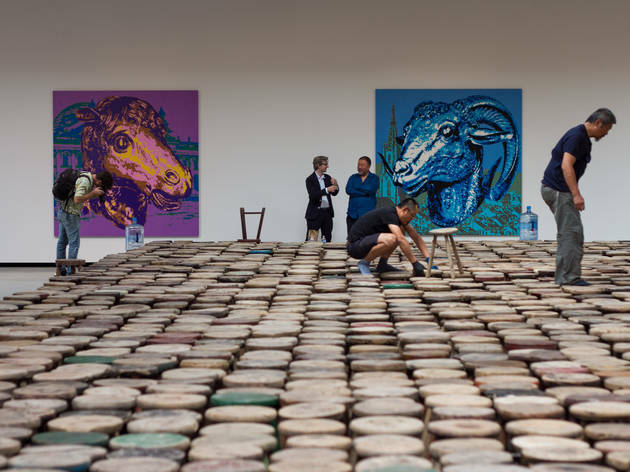 Distinguished art dealer Jeffrey Deitch inaugurates his L.A. gallery with LEGO zodiac portraits and 5,929 wooden Ming and Qing dynasty stools from Ai Weiwei. 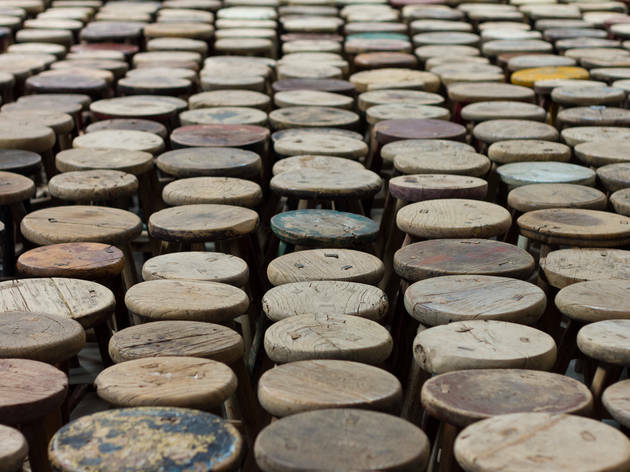 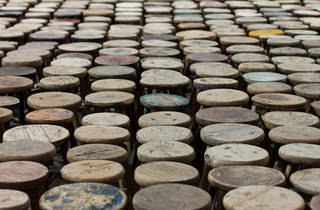 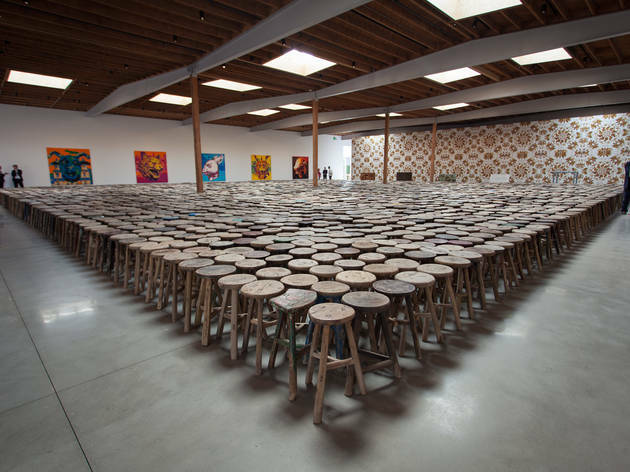 Meticulously interlocked, the stools evoke generations of common Chinese history and design—Ai himself was onhand to oversee their installation, the first time he was able to do so for this work since regaining access to his passport in 2015. 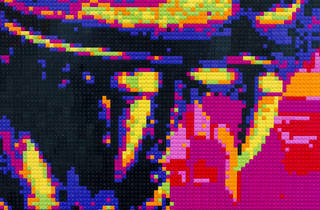 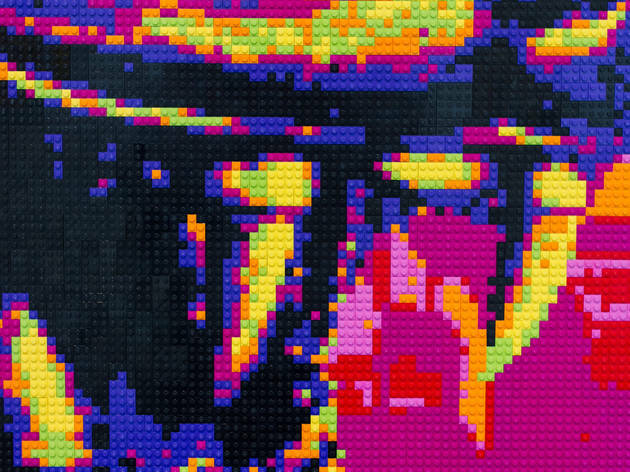 The vivid LEGO zodian portraits and golden, wall-covering mural “The Animal That Looks Like a Llama But is Really an Alpaca” complement the centeral area’s sea of earth tones.